Stunning display featuring Mike Tyson and Evander Holyfield autographed Everlast boxing gloves. 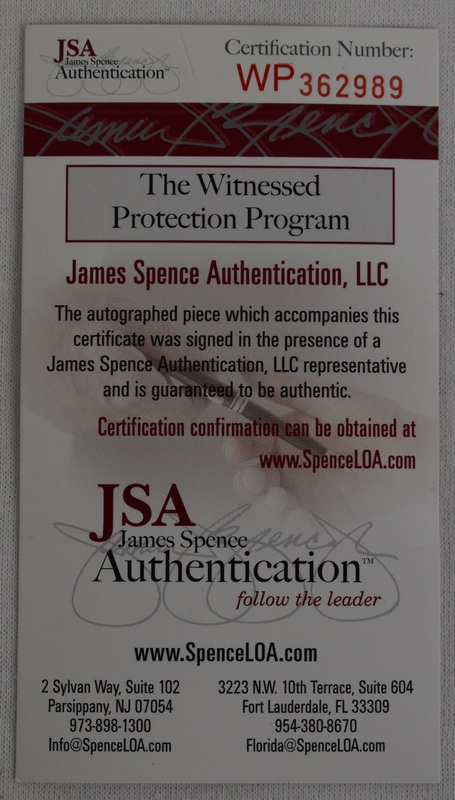 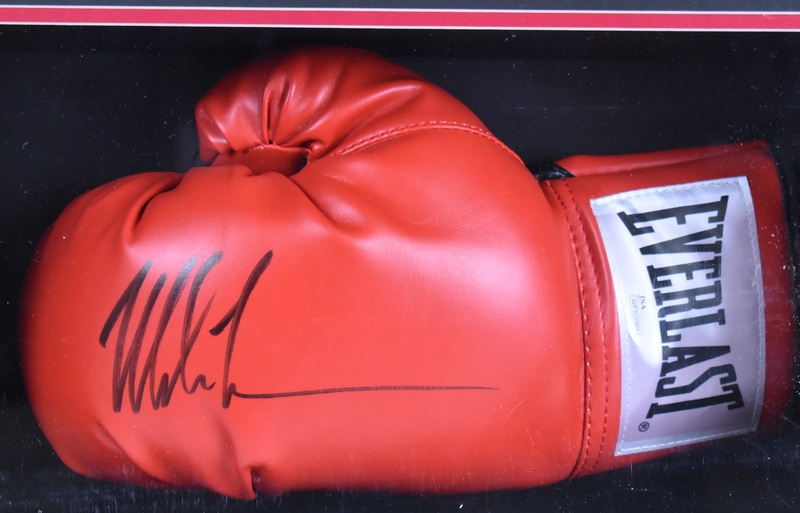 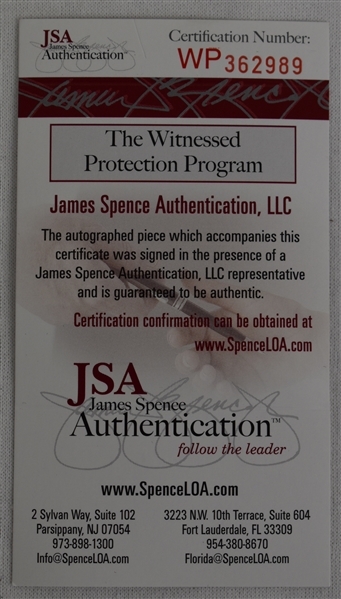 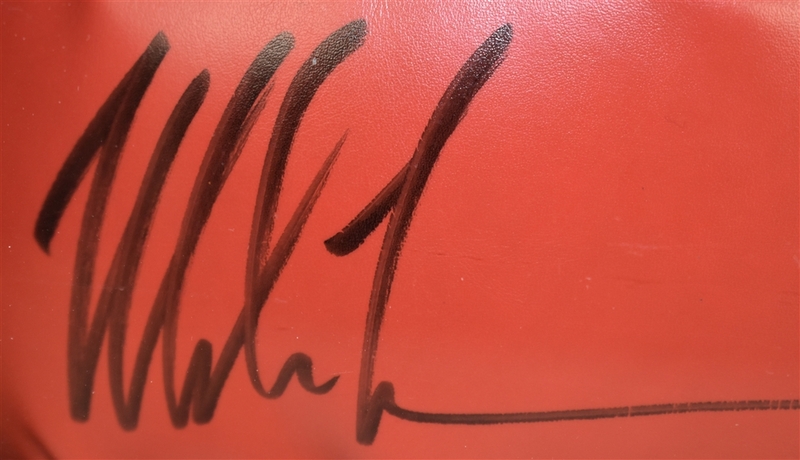 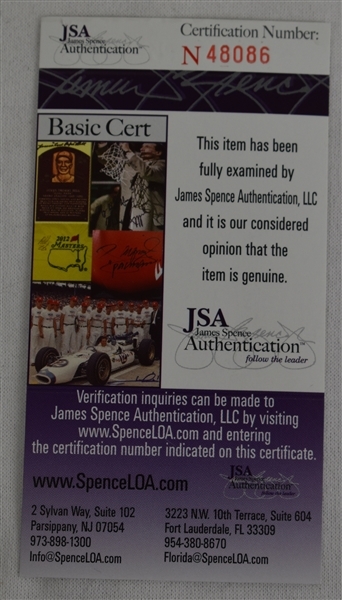 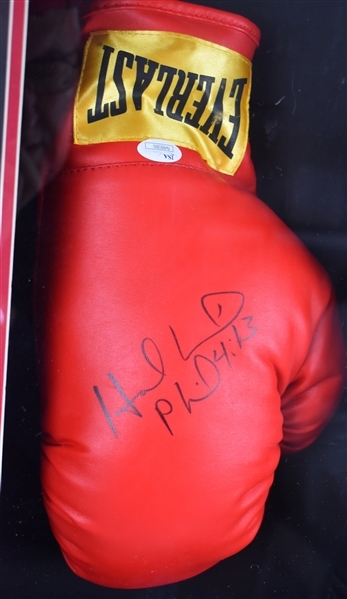 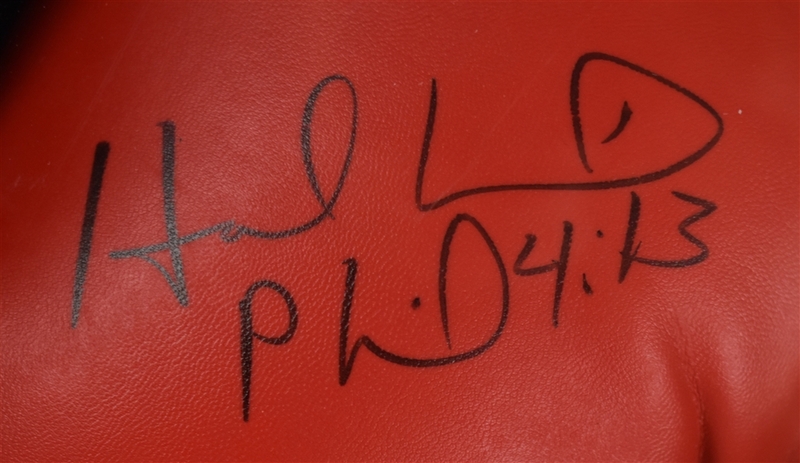 Each has signed the red boxing glove in black marker. 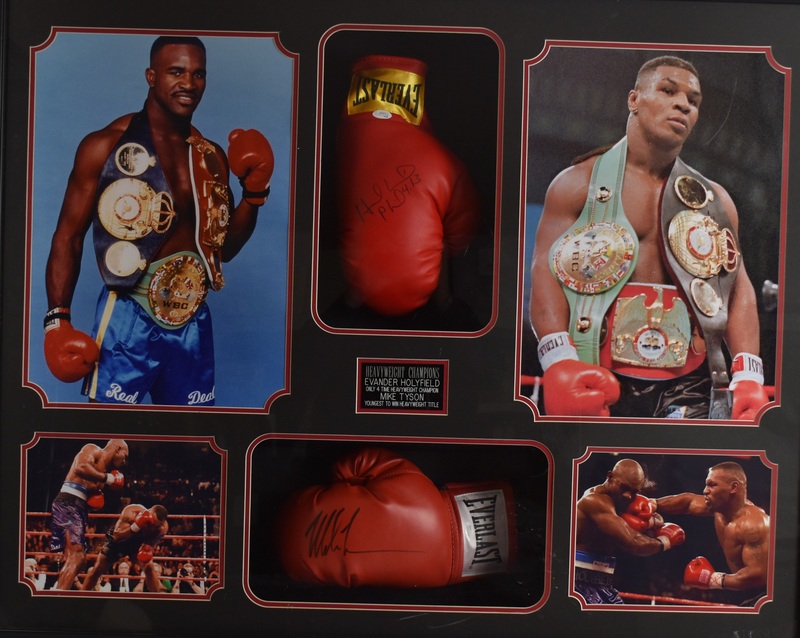 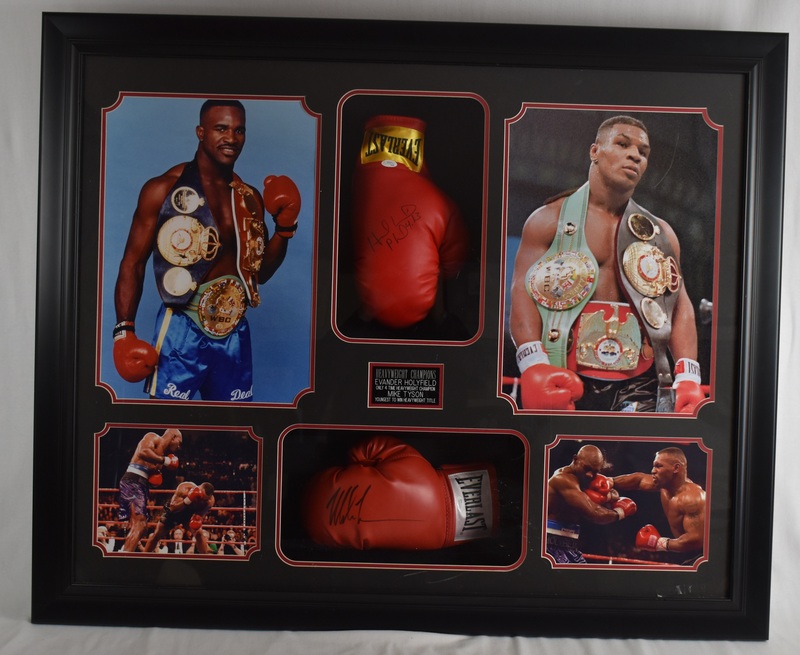 This beautiful shadowbox display also includes 4 photographs of Tyson and Holyfield, two of the greatest heavyweight champions of all-time.